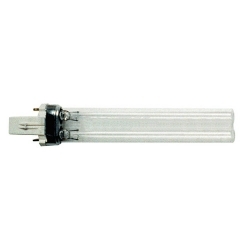 Alpine 11 Watt Replacement UVC Bulb for PLF3000U & PLUV3000. UV Bulbs (UV-C), are low-pressure mercury arc lamps that are the most effective tool for eliminating microorganisms such as virus, bacteria, mold and yeast in the air and impurities in water. UV lamps are warrantied for up to 8,000 hours of normal usage.